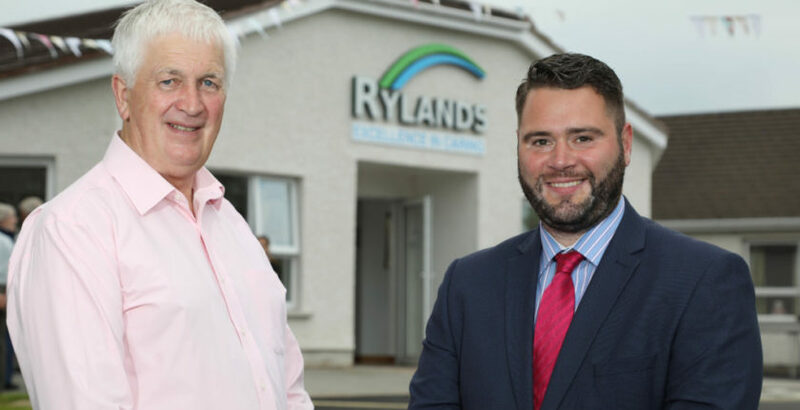 Rylands Nursing Home near Ballymena in Northern Ireland has completed an 11-year refurbishment programme with the support of Ulster Bank. Work at the family owned home included refurbishing residents’ rooms, communal spaces and enhancement of the entrance, outdoor patio area and shared garden spaces. Trevor Duncan, Managing Director at Rylands Nursing Home, said: “Over the past 11 years we have continually invested in Rylands to ensure that our facilities best meet the needs of our residents, not only to ensure day-to-day duties can be fulfilled with ease by our committed nurses and carers, but to also ensure that the nursing home is a welcoming and comfortable environment for both residents and all who visit it. Rylands Nursing Home underwent a major expansion in 2010 adding an additional 10 en-suite bedrooms to meet increasing demand for care in the locality. The nursing home now comprises a 45-bed nursing unit and a 14-bed residential unit.